Service Network(World) - Rheon is the pioneer manufacturer of food prosessing machine. Our international system achieves the service transcending the border. Ever since its establishment, Rheon has been progressing on the path towards internationalization. Rheon machines are exported for the first time. Established offices in the U.S.A. and Germany. Established Rheon U.S.A.(Rheon 100% financed) in New Jersey, later transferred to Irvine, California. 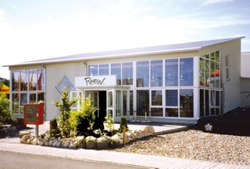 Established Rheon Automatic Machinery GmbH (Rheon 100% financed) in Duesseldorf, Germany. 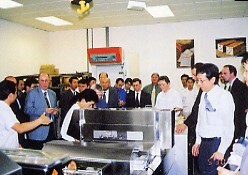 Established Orange Bakery, Inc. (Rheon 100% financed) in Irvine, California, for high-quality baked product research. Transferred Rheon U.S.A . headquarters to Irvine, California. Established a reserch laboratory in Charlotte, North Carolina. Established Rheon Taipei Branch Office in Taipei, Taiwan. Transferred Rheon U.S.A . headquarters to Charlotte, Noth Carolina. Opened Rheon Europe Ulm Research Center in South Germany. Established Rheon Parker Model Plant in Irvine, California. 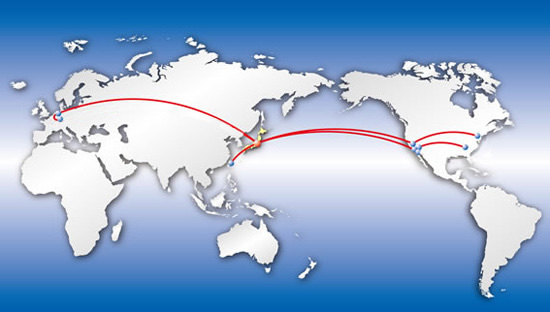 While strongly advocating the location of overseas business, Rheon has successfully integrated international exchanges for market reserch and development of new technology. Rheon's international structure enables each overseas office to provide customers with various services and information regardless of its location. Transferred Rheon U.S.A. headquarters to Irvine, California promoting sales activities and various customer services. Transferred Rheon Taipei Branch Office to Neihu, where is the science and technology development district, in Taipei. Established Rheon U.S.A. NJ Office in Teterboro, New Jersey. Established Rheon Automatic Machinery Asia Pacific Co., Ltd.(Rheon 100% financed)in Taipei,Taiwan from former Rheon Taipei Branch. 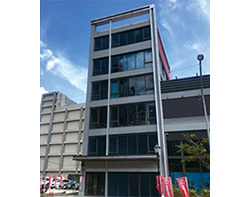 Rheon has several laboratories located at headquarters and other locations throughout Japan, along with overseas offices. Well equipped with machines and instruments, Rheon engineers daily perform development and reserch at these laboratories. New product information gathered through the work at these laboratories is introduced to Rheon customers. 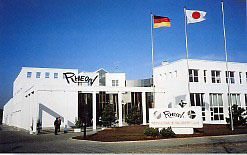 Rheon's subsidiary, Rheon Automatic Machinery GmbH, located in Duesseldorf, is a 2,700 square meters research laboratory. This 100% Rheon-owned office serves Europe, Africa, and the Middle East regions. It's laboratory is equipped with the latest machines for testing to offer to customers. 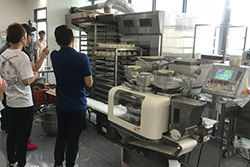 Test production on full-scale machines is available for bread products, pastries, variety of confectionery products, savory foods, catering foods, and more. The plant engineering department supports customers to carry out their food production plant design, and offers neccessary consultation. There are supporting sales agents in each country in Rheon Europe territory, connecting to promotional activites and progressive technical services. Rheon U.S.A.(U.S.A. reserach laboratory) is loacated in Irvine,California equipped with the most advanced modern food processing facilities,conducting sales of Rheon's automated food processing machinery and providing customer services all across North,Central and South America. Rheon USA has two offices covering North and South America; one in California which covers the West, Mid-West as well as South and Central America, and the other in New Jersey which covers the East, the South and Canada. Both offices have laboratories for customers to run product tests. RHEON IRVINE MODEL PLANT/ORANGE BAKERY,INC. Orange Bakery is the model plant equipped with Rheon’s latest machines. There are 4 plants in U.S.A. and their products are distributed to supermarket, restaurant and so on. Orange Bakery 1st plant in Irvine, California is producing frozen puff pastry and pie sheet by MM line. Orange Bakery East Irvine plant in east Irvine is producing frozen croissant and puff pastry by HM line and high value cookies by Multi-Co-Extruder. Rheon Charlotte R&D Center intoroduces pre-proof concept involving dough fermenting and freezing, uniquely developed by Rheon, to the U.S. market. Production technology and product know-how are also provided. Computerized plant management information, from received orders management to product quality management, is also avaliable to customers. Rheon Parker Model Plant is located on a spacious 10,137 square meter site in Irvine, California. 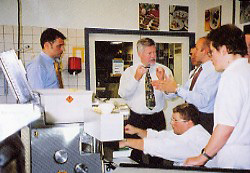 The plant demonstrates the Stress Free® VM System and creates various bread products with high quality. Rheon's subsidiary, Rheon Automatic Machinery Co., Ltd. Taiwan Branch, Taiwan serves Taiwan and Hong Kong with a well-equipped for customers to conduct product tests. The office is located in Ulm, the major urban city in south Germany, and is the base operation office for the southern Germany and neighboring countries such as Austria and Switzerland. At the same time, they research the expansion of the applied use of Rheon machines and further enhancement of technical services by collecting the information on European Foods.